is a chain of shopping centres across the UK with a total lettable space of over 3 million square feet and home to approximately 700 retail units. 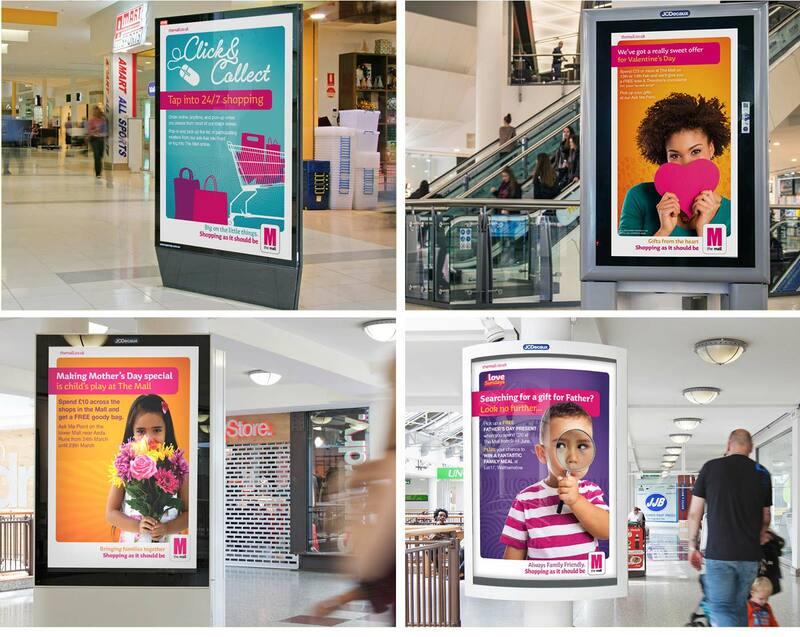 They approached Simon Inc to review and audit the existing brand POS communications within the centres, which were perceived as being dated and lacking relevance to their vision for the future of The Mall brand, and to create a new brand personality and tone of voice for the shopping centres. 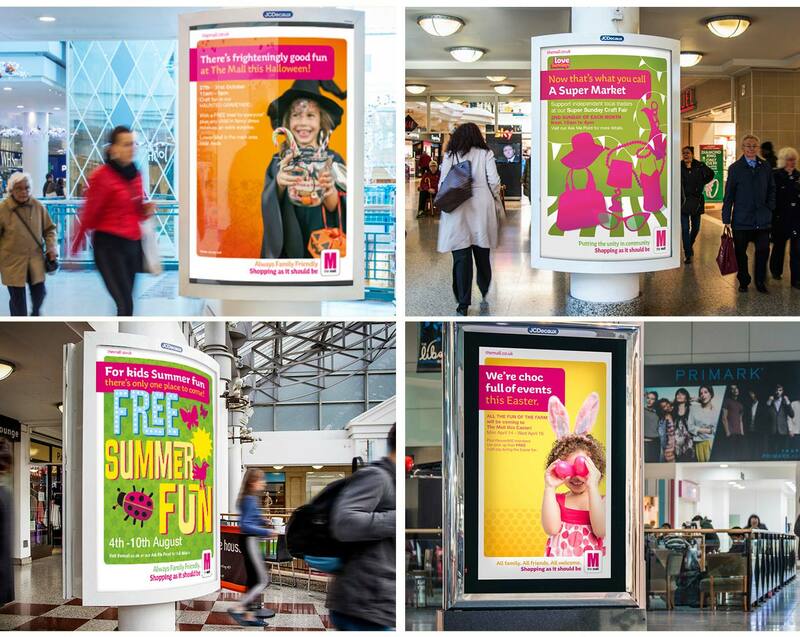 We created an approachable, engaging tone of voice and visual expression for the brand personality which could be used across all the promotional collateral for the centres. 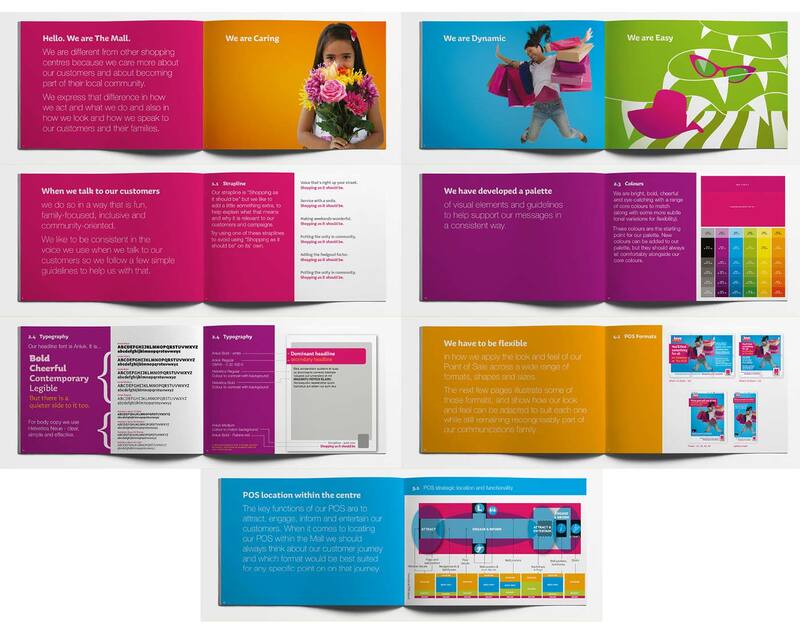 We developed a personality guidelines document, explaining the rationale behind the resulting look and feel, outlining the principles for applying it across a full range of marketing materials in a consistent and effective way.